Lovely home with a large amount of outdoor space and updates throughout! 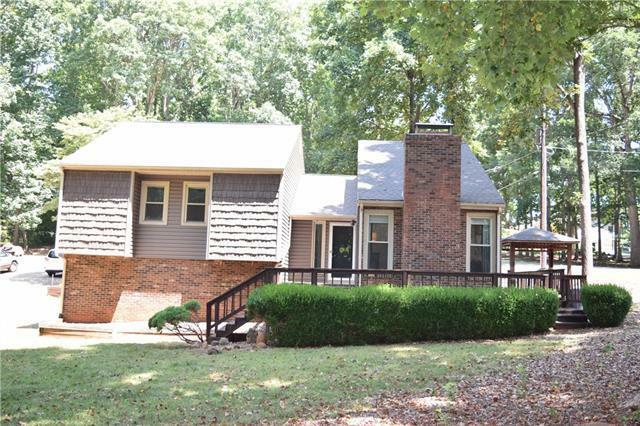 This home is surrounded by mature trees and minutes from I-40. Kitchen is bright and sunny with ample cabinets/counter space, and easy access for entertaining on the large deck. Living room is spacious and features a beautiful brick wood burning fireplace. Master bedroom is large and offers a fully updated master bath, custom sinks, and a beautiful tiled oversized shower with glass door. Hall Bath offers a tub/shower combination. Lower level offers a den or recreation room w/closet and single car garage. Outdoor space is fantastic! Deck surrounds the entire back of the home, perfect for entertaining! Sold by Stable Real Estate Llc.